You asked me many times whether I wanted to keep you as my default web browser. I ignored you all the time. I made fun of you. I also made memes out of you and kalachufied (made fun of) you. 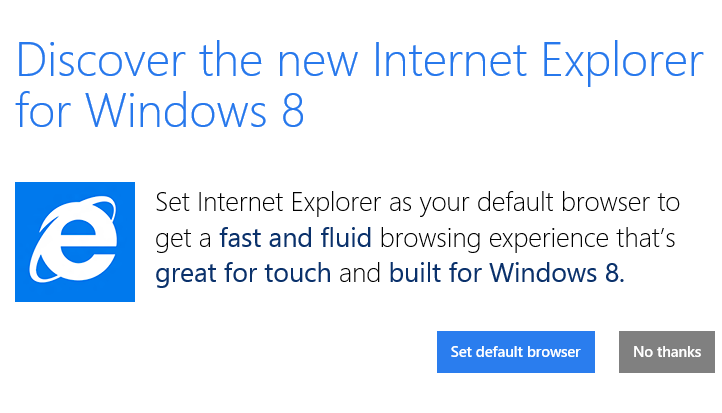 You know, even when I made fun of you, you would still ask me whether I wanted you as my default browser. I snubbed you and have always turned down your proposal. My answer "No Thanks" would have hurt you. But I never for once stalled and thought how hard it must have been for you. Now I heard the news that your owners are gonna shut you down. I don't know if they are gonna repackage you and present you to us in another name called "Sparta". But I might not recognise you by then. I disowned you for that firefox girl and later ditched her for that chrome blonde. I three timed on all you three before I ditched you for good. Now I feel bad. I used to get irritated when the above situation arose (see the above picture). I would just restart the desktop computer not knowing what to do. Now I would not have the privilege to do that because you are gonna leave. I have only memories with me. 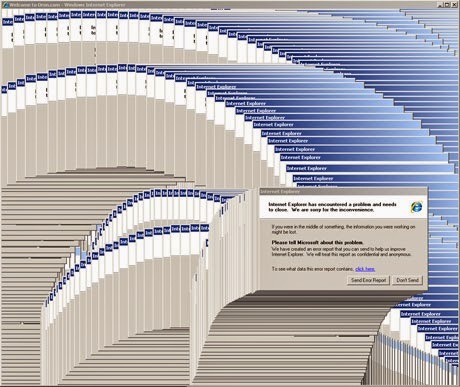 I might have cheated you for Chrome; but do you know that Chrome troubles me a lot with many browser viruses these days. I still have you in a corner of my heart. I hope that I recognise you when you come in a repackaged format so that I don't treat you the same way Sridevi treated KamalHassan in Mundram Pirai. Do you know one thing? I typed this post in your lap. Yes I used IE browser to type this post. I know you would have felt my agony filled finger impressions on the keyboard as I typed this post. I sign off with tears in my eyes. You were slow; but you were sweet. I have realised your importance only when you are about to leave the stage. PS: Kudos for defining her as a 'she'! !